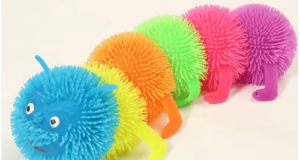 What is the alpha-fetoprotein test? 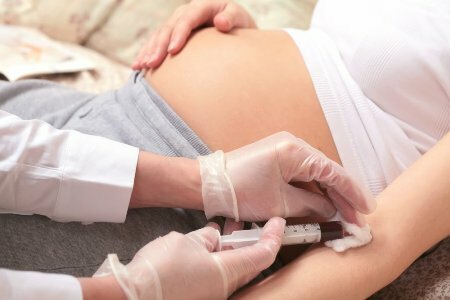 An alpha-fetoprotein (or AFP) test is a non-invasive prenatal blood test given to pregnant women in order to find out if the baby is at risk of having a number of medical problems. It is perhaps best known as a non-invasive Down syndrome test. 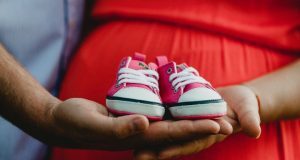 As is the case for most non-invasive prenatal genetic testing, a positive alpha fetoprotein test does not necessarily mean that the unborn child will have health problems, but that further tests should be done to make sure. The AFP test is a non-invasive prenatal test. In this case, non-invasive means that no blood, amniotic fluid or other samples are taken from the baby, and that the amniotic sac is not punctured or disturbed in any way. Because they do not touch or affect the baby directly, non-invasive tests are considered much safer for the baby. How does the AFP test work? Blood is drawn from the mother (not from the baby), and the amount of AFP in her blood is measured. If the baby is producing a larger-than-expected amount of alpha-fetoprotein, the level of AFP in the mother’s blood will be high as well. If those levels are high, the test is considered “positive”. 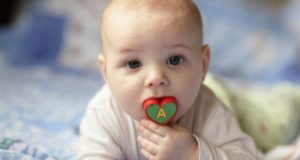 AFP is a type of protein made in every baby’s liver, which then makes its way into the mother’s blood supply through the placenta and umbilical cord. It is an important protein that plays a role in how the fetus develops and grows. Pregnant women should usually have a very small amount of AFP in their blood. Non-pregnant women and adult men should have practically no AFP in their blood at all. The AFP itself does not affect the health of the mother at all, and is removed from her system over time without any problems. Is the AFP test a kind of prenatal DNA testing? After a fashion, yes. It does not take a sample of genetic material (DNA) from the baby, but it does detect some of the proteins that the baby’s DNA makes, and can therefore tell us quite a lot about the baby’s DNA without the risks of more invasive prenatal tests or procedures. When should an alpha-fetoprotein test be performed? Of course, this is a question for your doctor or healthcare provider, as only they know your precise medical history and special circumstances. However, the alpha-fetoprotein test can be administered to most mothers-to-be from the tenth week of their pregnancy onward. There is typically a period of five days between the time your sample is received by the lab and the time the results are sent to your healthcare provider. If the test is positive, what’s next? Again, a positive AFP test does not necessarily mean that the baby will definitively be born with Down syndrome. Your obstetrician will likely refer you to a genetic counselor, who can help you understand your options and talk about your emotions. You’ll also be recommended for more invasive prenatal diagnostic testing. It’s not advised to make any decisions based only on the results of a prenatal genetic test. Next: Why nausea occur in pregnancy?